All stainless steel funnel with integral mesh screen. 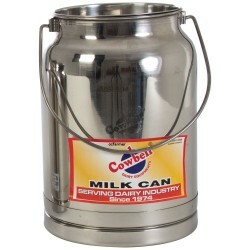 Ideal for use with large milk cans or buckets. Also very useful for straining tomatoes and fruit for sauce making. Top is 32cm diameter, neck 13 cm diameter.